Image above: “Standing still is dangerous,” says Stefan Löfven, Prime Minister of Sweden, at the opening ceremony of Hannover Messe. Photo: Deutsche Messe. An impressing artistic and high-tech program with Sweden in the center characterizes this year’s Hannover Messe on Sunday evening with 2000 specially invited guests, among them Sweden’s Prime Minister Stefan Löfven and Chancellor Angela Merkel from Germany. In the show, the participants could meet a piece of Sweden that ranges from midnight sun and folk music to technology at the forefront where a dancer perform spectacularly together with an industrial robot from ABB. Read about the dance with the robot. In his speech before the participants, Stefan Löfven emphasizes that the future can only be met with the insight that change is necessary. “There is only one thing we know about the future: it will be different. It is not change that is dangerous. Standing still, that’s what is dangerous,” says Stefan Löfven. 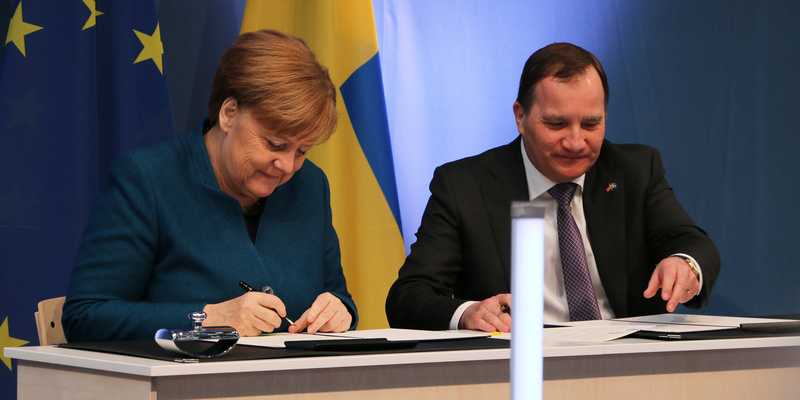 Prime Minister Stefan Löfven and Federal Chancellor Angela Merkel signed an agreement between Sweden and Germany on artificial intelligence and battery production for electric vehicles. The signing took place at the inauguration of the Swedish Pavilion at the Hannover Messe. Photo: Mikael Hansson. During Monday, Stefan Löfven and Angela Merkel also met for the inauguration of the special Swedish pavilion, a place highlighted at the fair. 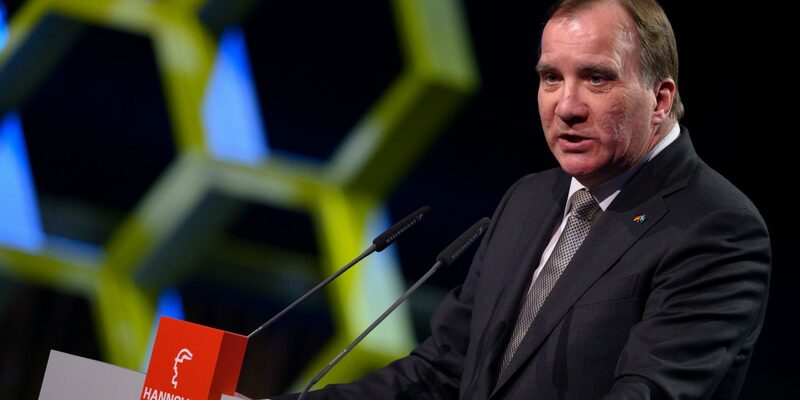 The message is “Sweden Co-Lab – Innovate with us!”, something that Stefan Löfven emphasized several times during his speech, cooperation is the way forward. In the Swedish pavilion, an agreement was also signed between Sweden and Germany on artificial intelligence and battery production for electric vehicles. Sweden is Germany’s partner country this year at the Hannover Messe. This means good opportunities for Swedish companies to establish new contacts, which is important for Swedish industry and growth. The focus of this year’s fair is high-tech automation, robotization and digitization, all areas where Sweden has great interests. When the fair itself opens on Monday morning, Stefan Löfven returns to his opening speech.